The home appraisal cost is a professional cost related to the estimate made by a licensed appraiser on the market value of the property. Read on to find out the basics of a home appraisal cost. When it comes to the value of a property, the buyer and the seller have conflicting views. The buyer wants a lower price, but the seller would intend to sell it for a higher profit. The home appraisal cost is the mediating value as it provides a professional estimate on the actual value of the property. The home appraisal is done by a certified property appraiser. In order to become a qualified property appraiser, one must have a certified appraisal title from a professional appraiser organization, or this person has the required education and experience to professionally practice property appraisal. Since the property appraiser is in charge of the valuation of the home, be sure to hire an appraiser who is licensed to appraise residential properties. Moreover, being a property appraiser does not automatically allow them to provide an assessment on residential homes. The value of the home appraisal can be based on several different factors, such as the cost of the materials used in the property, the number of rooms, the age and state of the home, the location of the property, the income generating possibilities, the comparable value of the property, and many other considerations. The first step that is needed to be done before beginning any property appraisal is to set a clear scope of work. To standardize the process of home appraisal, the Uniform Standards of Professional Appraisal Practice or the USPAP has required each property appraiser to set a scope of work before each assignment to ensure clarity and credibility of their work. There are six key parts of appraisal issues that should be established at the beginning of each assignment are the clients and other projected users, the planned use of the appraisal and appraisal report, the definition of the kind of value, the hypothetical conditions or extraordinary assumptions, the date that the appraisal analysis will take effect, and the prominent features of the subject property. The appraiser should also be able to determine the methodologies that will be used and the extent of the investigation. However, the minimum standards for scope of work are the expectations of the client and other users and the actions of the appraiser's colleagues who perform comparable assignments. Most sellers would have their property appraised before selling their property, so that they can be able to determine a realistic selling price for their property. 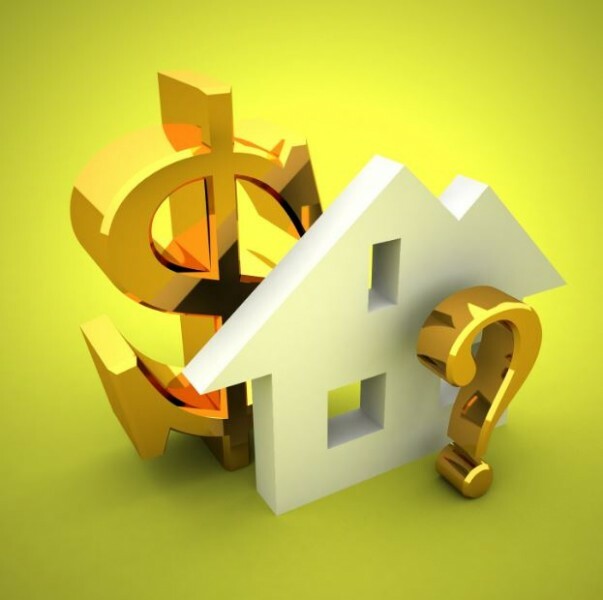 However, if the buyer is looking to get a mortgage loan on their purchase, the buyer is required to pay for the home appraisal cost and shoulder any other costs relating to the appraisal of the property. In relation to the property appraisal, the lender must choose the property appraiser who will determine the value of the property. However, the buyer has the right to see the result of the appraisal as the Consumer Financial Protection Bureau obliges the lender to give the buyer a copy of the property appraisal. The lending company should furnish the buyer a copy as soon as they get their hands on the result or at least three days before the closing. This gives the buyer sufficient time to review the result and be able to understand the data that the lender is using in able to determine how much to lend the buyer. In general, a home appraisal cost can set you back for around $200 to $400. The average price of a home appraisal cost for 2017 is $320. The actual appraisal of the property can last for a few hours. However, if the property is larger in size and the property has a more complicated valuation, the home appraisal cost can cost more and the entire appraisal process can last longer. On the contrary, the home appraisal cost will also vary largely in different states, so the average home appraisal cost in various states can also differ. The home appraisal cost is non-negotiable because lenders underwent through an appraisal management company or an AMC in order to select an appraiser. In addition to this, the selection process is mandated by government regulations, which means that the lender is not the one who will select the appraiser or negotiate the home appraisal cost directly. If the selling price of the property is lower than the value stated on the property appraisal, it means that the buyer has got a better deal because they are paying for the property at a “discounted price”. It means that they are paying less for a property that has a higher value. Another scenario is if the buyer purchases a property with a low property appraisal value, it means that they paid more for a property that actually costs less. However, there are times wherein the contract between the seller and the buyer is contingent upon the appraisal. This means that the buyer has the option to withdraw from the contract and ask the seller to return the earnest money deposit. Another option that is available to the buyer and the seller is to renegotiate the terms of the contract. In addition to this, the buyer can also come up with the money to make up for the difference between both values. In conclusion, the home appraisal cost can be burdensome for some buyers, but this cost is extremely beneficial for the parties involved as it settles the issue between the conflicting views on the valuation of the property between the seller, the lender, and the buyer.